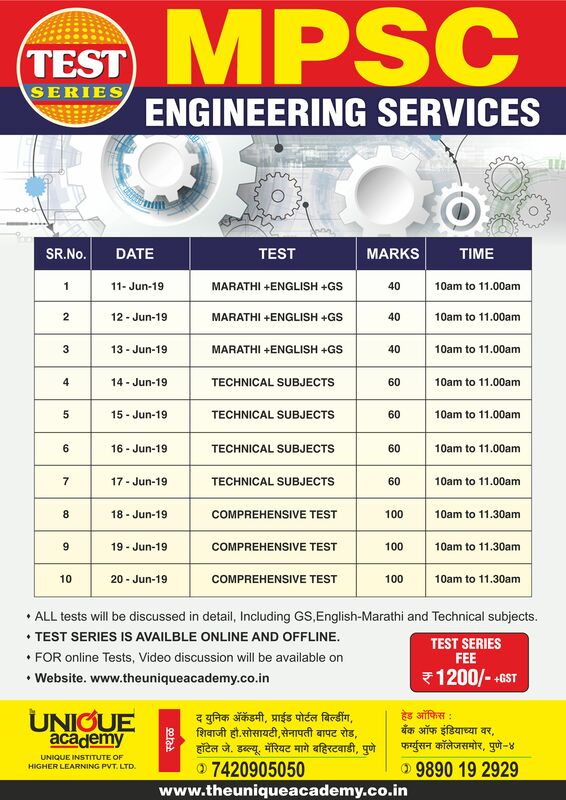 Download Brochure for MES 2019 MOCK TEST PROGRAMME here..
3 Tests full length/ Comprehensive. General studies. Marathi and English as well as Prelims Technical subjects. Detailed discussion after each test.